What Makes Bamboo So Eco-Friendly? 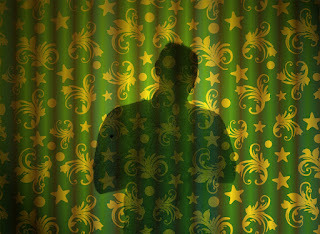 Welcome to BambooMN's blog! We carry a wide variety of Eco-friendly dinnerware and presentation solutions, as well as a variety of apparel, socks and craft supplies. Bamboo has the reputation of being an eco-friendly alternative. You've likely heard others urging the use of more bamboo products, and wondered what makes bamboo different from other types of wood or recyclable materials. At BambooMN, we believe strongly in using bamboo to make your home and business more sustainable -- Here's why. One of the most well-known reasons that Bamboo is considered extremely renewable and sustainable is that it is very fast growing. Once bamboo is harvested, it only takes 3-5 years for a a new bamboo stalk to reach full height. Some types of bamboo can grow up to 1 meter per day. That's a great deal faster than other trees used to make wood - it can take them twenty years or more to reach full height. In addition, bamboo doesn't need to be replanted, so the original plant can continue growing even after the harvested parts are now part of your kitchen. If we demand that more products that were once made from wood are now made from bamboo, we can begin to alleviate deforestation. Cultivating bamboo also requires very little waste. 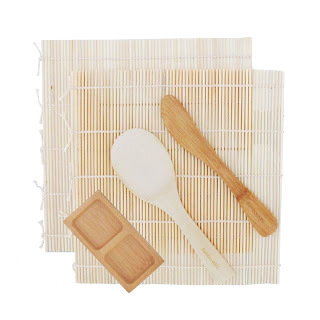 Virtually every part of the bamboo plant is used to make a wide variety of products. It can be used in the kitchen for everything from being eaten as a common food in some parts of the world, to being made into plates and utensils, sushi sets, and much more! Fibers of bamboo can be made into cozy, soft fabrics and used to make clothing and apparel such as socks. Many people prefer bamboo-fiber socks because of its breath-ability and moisture-wicking nature. In places where bamboo is common, the residents can use bamboo to make virtually every part of their house, from small nail-like parts to hold things together, to furniture, doors, and the roof. The leaves are also used, and can be woven into hats and baskets. Harvesting bamboo isn't just choosing the lessor of two evils - in fact, harvesting bamboo is good for the environment. When old bamboo decays it emits carbon into the atmosphere, and because bamboo doesn't live as long as hardwood trees, by harvesting it earlier a forest of bamboo is prevented from becoming a carbon emitting environmental nightmare. In addition to harvesting bamboo preventing carbon emissions, bamboo also produces 35% more oxygen than trees. It can absorb massive amounts of carbon dioxide, and scientists predict that bamboo can play an important role in preventing or even reversing climate change. Bamboo is truly a fascinating plant and one of nature's most useful and interesting treasures. This is even more striking if you realize that bamboo isn't qualified as a tree -- it's technically considered a grass! 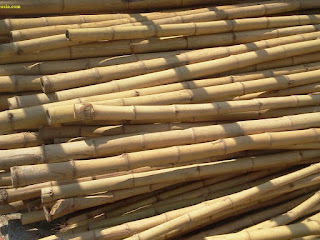 Check out our store on BambooMN.com, where we have a wide selection of bamboo products available. 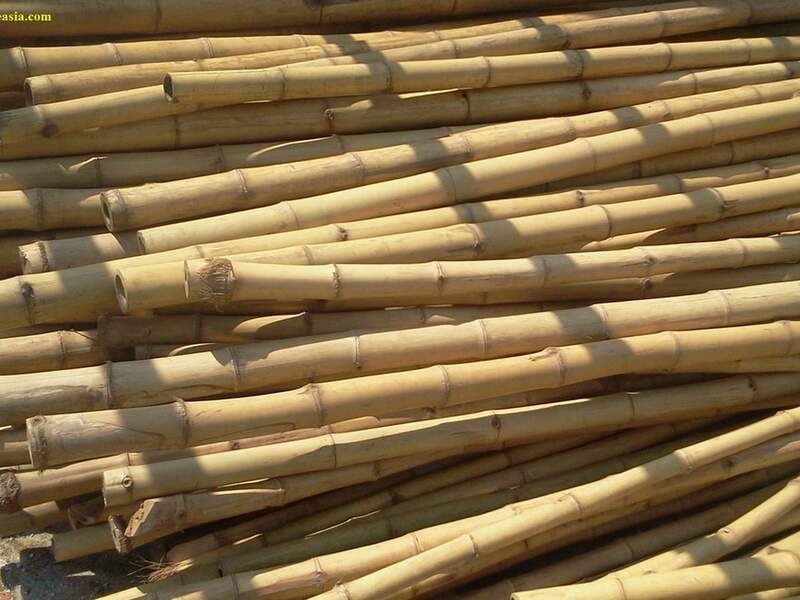 When you begin to increase your support of bamboo production and manufacturing, you will be pleased to see what an easy step this is to increase the sustainability of your household or business. As more and more businesses and individuals take the steps to choose bamboo over less sustainable materials, we step closer as a society to sustainability. A simple way to impress all your guests, whether you are throwing a party or running a restaurant, is to add small elements of customization. 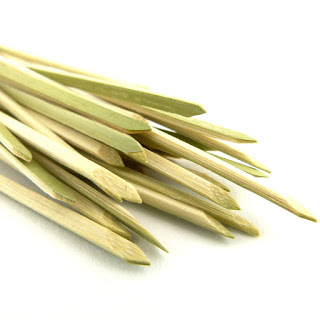 If you're looking for easy ways to enhance the presentation of food or drinks at your restaurant or event, consider these tips for custom bamboo paddle picks. 1. Wow your guests by incorporating your organization, restaurant, or event name or logo into their meal. When you spend countless hours planning an event, you want guests to notice how much time and effort went into it. Putting your logo on picks is an unobtrusive yet effective way to put your organization into the forefront of guests' minds and drive your message home. Showing that you are detailed down to the smallest part of a guest's experience is a wonderful accent on top of an already great experience. Are Bamboo Plates Microwave Safe? Are Bamboo Plates Microwave Safe? 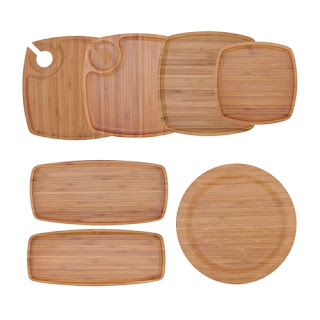 No, microwaving your wooden or bamboo plates could cause them to dry out, and shorten the lifespan of your product. Some customers of ours have claimed there products are fine when microwaving them, but we really would not recommend it! Check out our wide selection of bamboo plates! Not every burger is created equal, despite what we hope for. Most of us know that with each layer of grilled goodness added to the bun, we pack on more calories with each drop of cheese slice and ketchup squeeze. But regardless of our choices in sides and condiments, we can still lose the battle in our weight management and the proof is in the patty.